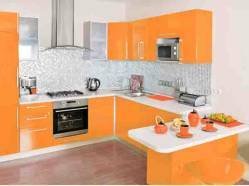 ﻿ Modular Kitchen, in Nagercoil. RMKV Modular Kitchens in Nagercoil. Modular Kitchen accessories in Nagercoil | Modular Kitchens dealers in Nagercoil | Modular Kitchen price in Nagercoil | Modular Kitchen in Kanyakumari District | Modular Kitchen Dealers in kanyakumari District | Best Modular Kitchen in Kanyakumari District | Modular Kitchen in South Tamilnadu |Modular Kitchen interior design in Nagercoil, Kitchen Interior Design in Nagercoil, Kitchen interior Decorators in Nagercoil, Modular Kitchen cupboards design in Nagercoil, Kitchen cabinets design cost in Nagercoil, Kanyakumari, Kanyakumari District, South India, Tamilnadu. RMKV Modular Kitchen,Modular Kitchen,Nagercoil,Modular Kitchen in Nagercoil,Modular Kitchen dealers in Nagercoil,Modular Kitchen price in Nagercoil,Modular Kitchen accessories in Nagercoil,Modular Kitchen in Kanyakumari District,Modular Kitchen Dealers in kanyakumari District,Modular Kitchen dealers in Kanyakumari District,Best Modular Kitchen Modular Kitchen in South Tamilnadu, Modular Kitchen interior design in Nagercoil, Kitchen Interior Design in Nagercoil, Kitchen interior Decorators in Nagercoil, Kitchen cupboards design in Nagercoil, Kitchen interior decorators in kanyakumari District, Kitchen cabinets design cost in Nagercoil, Kanyakumari, Kanyakumari District, South India, Tamilnadu. 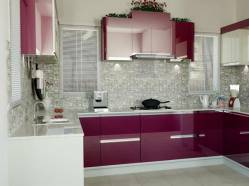 Modular kitchen in nagercoil,modular kitchen nagercoil,modular kitchen price in nagercoil,modular kitchen dealers in nagercoil,modular kitchen cost in nagercoil,modular kitchen designers in nagercoil,Modular Kitchen in Nagercoil, Modular Kitchen in Kanyakumari Nagercoil, Nagercoil,Modular Kitchen, manufacturers in Nagercoil, Modular Kitchen Dealers in Nagercoil, Modular Kitchen dealers in nagercoil, Modular Kitchen dealers in Kanyakumari District, Best Modular Kitchen in Kanyakumari District, Modular Kitchen accessories in Nagercoil, Modular Kitchen in South Tamilnadu, Modular Kitchen engineers in Nagercoil, Modular Kitchen interior design in Nagercoil, Kitchen Interior Design in Nagercoil, Kitchen interior Decorators in Nagercoil, Kitchen cupboards design in Nagercoil, Kitchen interior decorators in kanyakumari District, Kitchen cabinets design cost in Nagercoil, Kanyakumari, Kanyakumari District, South India, Tamilnadu. RMKV Modular Kitchen Furniture Presents an EXCLUSIVE Wide Range of Variety for Modular Kitchen that you have always dreamt of and wondered if you would ever own one. We offer our clients an attractively useful kitchen accessories and matching cabinets that suit the interior of every decor with highly compatible storage units, shelves for cutlery and pull out facilities. At RMKV Kitchen Your Dream actually meets the practical reality. The Kitchen is of superior quality Hettich hardware that provides a stylish, smooth and sturdy look to the kitchen and ensures precision and consistency. You just need to provide your requirements and our executives will not only thoroughly understand that, but also will consult you and your Exclusive Modular Kitchen will not only exactly replicate your thoughts & ideas, but will also be really exceeding your expectations. Modular kitchen in nagercoil,modular kitchen nagercoil,modular kitchen price in nagercoil,modular kitchen dealers in nagercoil,modular kitchen cost in nagercoil,modular kitchen designers in nagercoil,Modular Kitchen Nagercoil | No.1 Modular Kitchen in Nagercoil is a preeminent manufacturer and dealers of all types of modular Kitchen in Nagercoil, Kanyakumari District. We make a plan, designs and install modular Kitchen as per your needs. RMKV Modular Kitchen takes pride in presenting kitchen solutions that have redefined the modular Kitchen space. We hold expertise in offering optimum quality Modular Kitchen and modular kitchen accessories to our valuable customers. RMKV Modular Kitchen provides high-quality materials for making your fabulous kitchen cabinets.Our modern cabinets with eminent designs can be tailored to match any lifestyle. Modular Kitchen Furniture Presents an EXCLUSIVE Wide Range of Variety for Modular Kitchen that you have always dreamt of and wondered if you would ever own one. We offer our clients an attractively useful kitchen accessories and matching cabinets that suit the interior of every decor with highly compatible storage units, shelves for cutlery and pull out facilities. At RMKV Kitchen Your Dream actually meets the practical reality. The Kitchen is of superior quality Hettich hardware that provides a stylish, smooth and sturdy look to the kitchen and ensures precision and consistency. You just need to provide your requirements and our executives will not only thoroughly understand that, but also will consult you and your Exclusive Modular Kitchen will not only exactly replicate your thoughts & ideas, but will also be really exceeding your expectations. RMKV Modular Kitchen | No.1 Modular Kitchen in Nagercoil is a preeminent manufacturer and dealers of all types of modular Kitchen in Nagercoil, Kanyakumari District. We make a plan, designs and install modular Kitchen as per your needs. RMKV Modular Kitchen takes pride in presenting kitchen solutions that have redefined the modular Kitchen space. We hold expertise in offering optimum quality Modular Kitchen and modular kitchen accessories to our valuable customers. RMKV Modular Kitchen provides high-quality materials for making your fabulous kitchen cabinets.Our modern cabinets with eminent designs can be tailored to match any lifestyle. 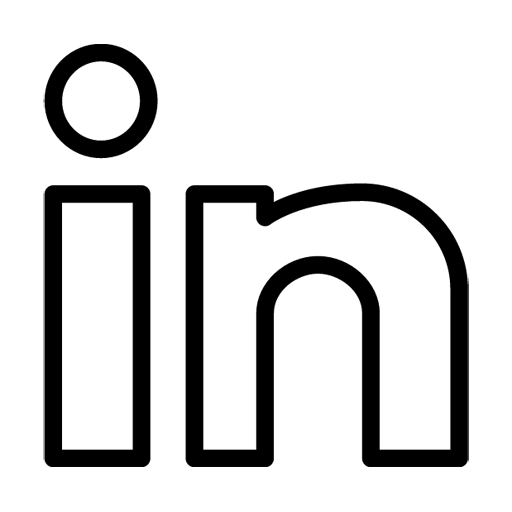 Modular Kitchen in Nagercoil,best Modular kitchen in nagercoil,modular kitchen accessories in nagercoil, Modular Kitchen designs in nagercoil,modular kitchen dealers in nagercoil,Modular Kitchen interior designs in Nagercoil, modular kitchen nagercoil, modular kitchen in nagercoil,nagercoil modular kitchen dealers, best modular kitchen accessories in nagercoil,Modular Kitchen manufacturers in nagercoil,Modular Kitchen Nagercoil, Modular Kitchen in Kanyakumari District,Best Modular Kitchen in Kanyakumari District.